This past weekend we had the pleasure of being part of the 12th Annual Heritage Harvest Festival at Monticello. This festival which SESE’s Ira Wallace helps organize is a celebration of agriculture, history, food, culture. 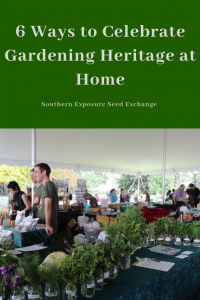 It was an amazing opportunity to learn more about historical gardening methods, heirloom seed varieties, traditional cooking recipes, and so much more. While we encourage everyone to attend the harvest festival (we can’t wait to see you next year), we realize that it isn’t possible for all to attend. If you were too far away or just couldn’t get away from work this year to attend there’s a few things you can do at home to celebrate your gardening heritage this harvest season. 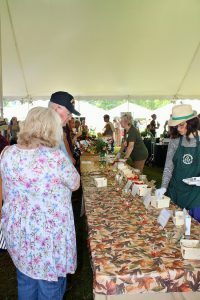 The Heritage Harvest Festival at Monticello includes an awesome seed swap but there’s no reason you can’t set one up in your neighborhood with a few friends. 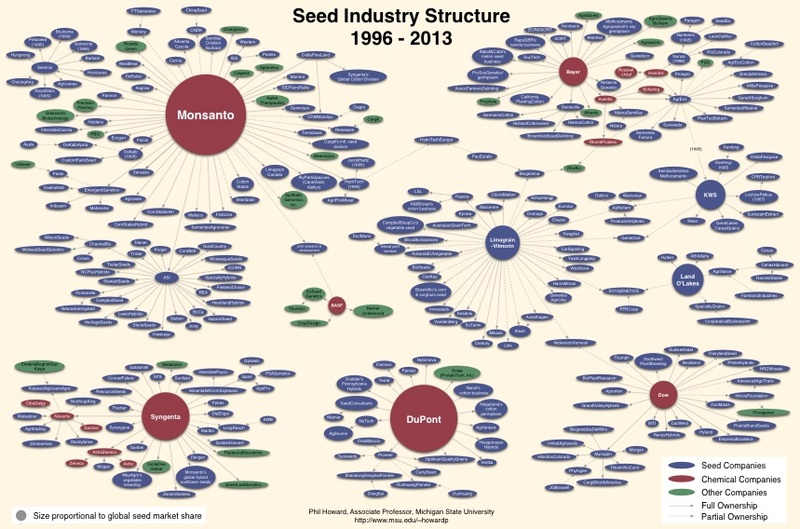 Alternatively there are even a few Facebook groups dedicated to seed swapping. Thankfully many of the wonderful speakers at the Heritage Harvest Festival also have books available. Adding these to your reading list can help you preserve history and become a better gardener or cook! At the festival, SESE puts on a huge tomato, pepper, and melon tasting. It’s a lot of fun but it can also be really helpful for gardeners unsure about which varieties they might want to add to their garden next year. 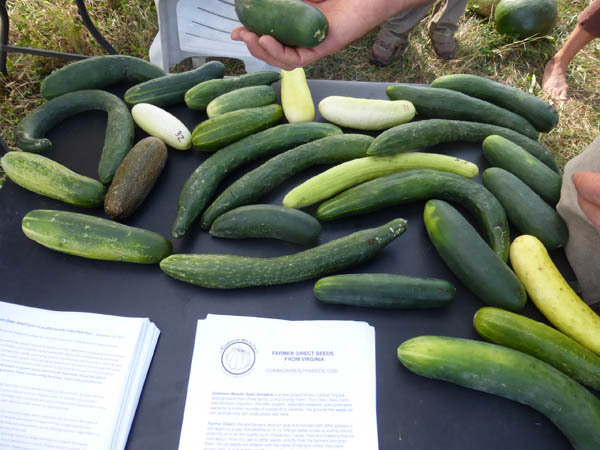 If you can find others growing heirlooms in your area swapping samples may help you plan your seed order. If other gardeners in your area aren’t growing heirlooms offering a tasting of varieties you grow may encourage them to plant some of their own. Visit a farmer’s market and try to buy local. 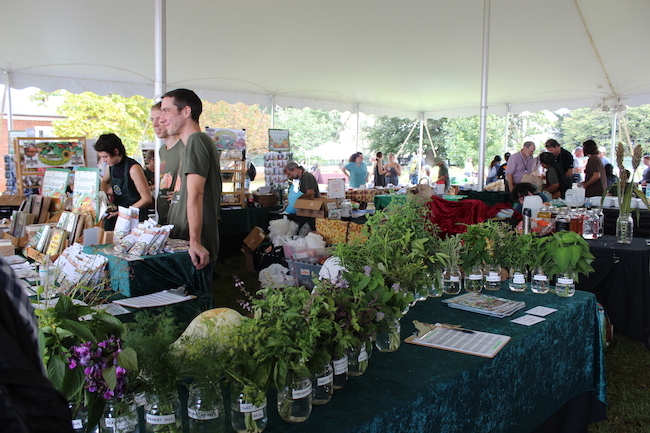 One awesome part of the festival at Monticello is seeing all the vendors with products grown and crafted in Virginia. Visit your local farmers market or search the web for people in your state producing food, beverages, clothing, crafts and more. Buying local is better for the environment and supports small business owners. Take a local gardening or cooking class. The workshops at the festival are a wonderful place to learn each year but you may be able to find some offerings close to home. 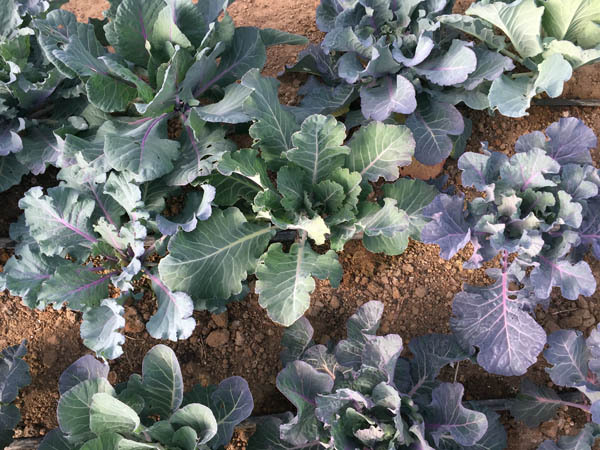 Many communities have affordable classes with local chefs and master gardeners that don’t get the attention they deserve. Don’t be afraid to ask around! It was wonderful this weekend to see people of all ages from all walks of life get together to celebrate agriculture and history. You don’t actually need a festival setting to accomplish this though. Whether you’re talking to your neighbor about heirloom varieties, teaching your friend how to cook with fresh ingredients, or getting your kids involved in the garden you’re helping to protect valuable skills and history. If you were able to attend we hope you enjoyed the festival as much as we did. If not try some of these ideas and celebrate at home. We hope to see you next year! Do you harvest garlic scapes while they’re still straight or after they’ve curled? Garlic scapes harvested young are still tender enough to eat raw (although too pungent for some palates!) They can be cooked in stir-fries, pickled, or made into pesto. Harvested a little older, you may need to break off the woody bases, similar to asparagus, and just use the tender tops. 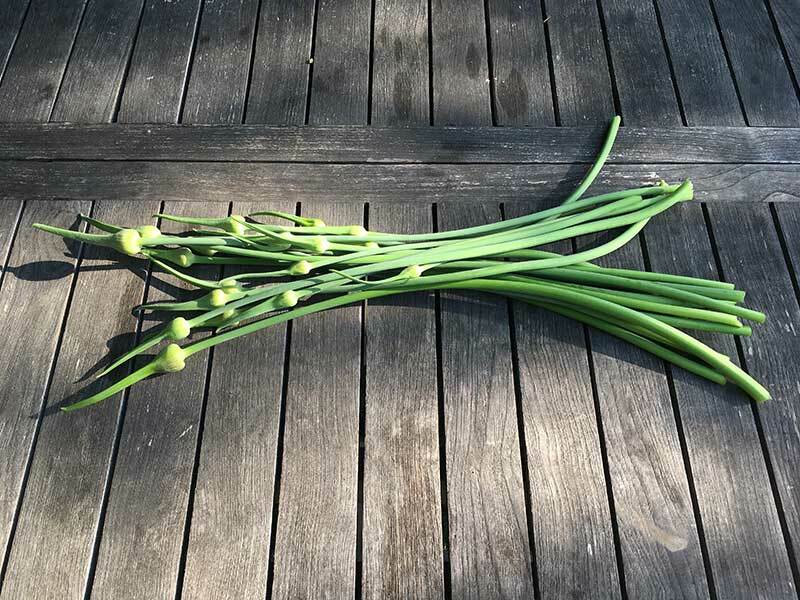 Scapes are the leafless flower stalks of hardneck garlic varieties. Harvesting scapes encourages the plants to put more energy into bulbs, increasing yields and improving quality. It’s usually done a few weeks or up to 2 months before the bulbs are ready for harvest. While scapes may be harvested by snapping or twisting them off at the base, many gardeners prefer to use pruning shears or clippers. 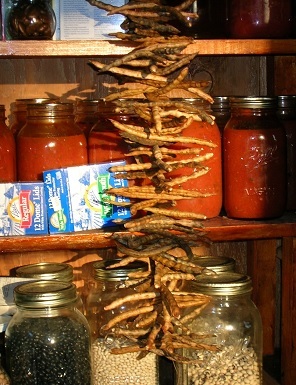 A warm, dry afternoon is recommended for harvesting scapes, as this promotes fast healing. 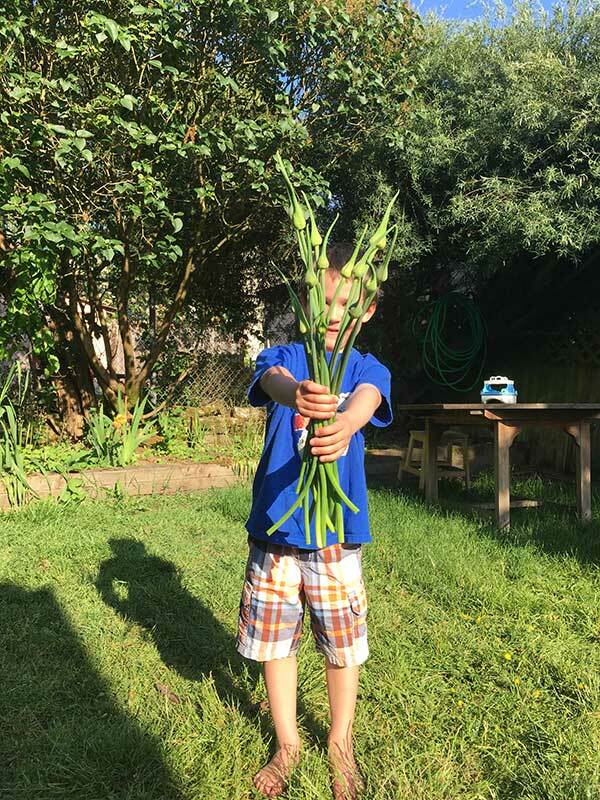 While some folks advise to harvest when the scapes have curled once, others recommend harvesting while they’re still straight. The truth may be that tenderness varies by variety — some varieties stay tender after curling, while other varieties are best harvested earlier. We’d love to hear from you! Have you found variation by variety? Do you always harvest at the same stage? Remember, we take pre-orders all year for our fall-shipped heirloom Garlic cloves for planting!